I painted my index & pinky fingers with three thin coats of Beyond the Nail - Space Cadet. On my middle & ring fingers, I painted my nails with two thin coats of Beyond the Nail - Holy Grail. 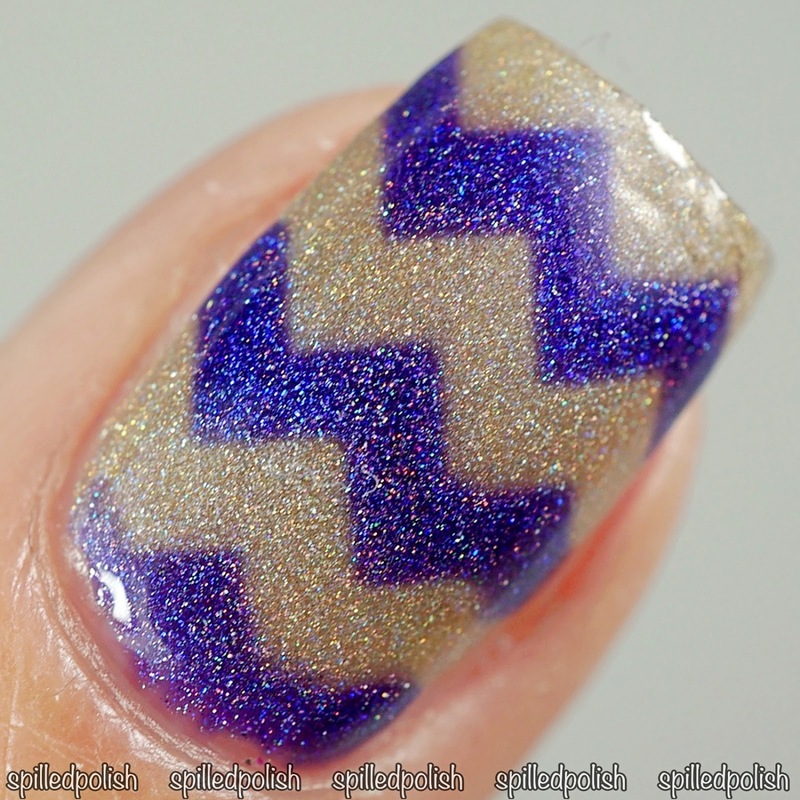 When it was dry, I placed three Chevron Nail Guides across each nail and painted over it with Space Cadet. I gently peeled off the nail guides while the polish was still wet to ensure crisp lines. I topped each nail off with one coat of PRO-FX - Quick Dry Topcoat.